It’s the worst place you can possibly be. You jump in the shower on a cold winter morning and if instead of nice warm, steamy shower you are hit with a torrent of frigid water. If your hot water heater is on its last legs or you are interested in switching to something more modern and energy-efficient, then it might be time for a new water heater. Don’t miss out on those home heating benefits and learn more about heater installation. Although heater installation is not the hardest tasks you can take on, it’s far from simple. Here are the pro and cons of doing heater installation yourself. Hint there aren’t too many pros! People enjoy having completed a task themselves. It is a good way for them to get familiar with the machine so that they know how to use it in its most optimal condition. Furthermore, if you are experiencing any sort of issue with the unit, then you should be able to easily access it and solve some of the minor issues. It can save you on the installation cost as well to do it yourself. Hot water heaters are not simple mechanisms. Many people opt for new “unlimited” systems which heat water on the spot. These are great, but complex. Even if you manage to install it by yourself, any sort of problem that it might have will still require a technician. If the installation is done incorrectly, it could negatively affect your heating and cooling budget and prevent it from being energy efficient. It is also easy to damage any of the valves while you are setting it up. SafetyMany hot water heaters use gas to power themselves. Any time that you are telling with gas, you need to be extremely careful. You need to make sure all of the valves are off Make sure that you are working in a well-ventilated area and are very careful both assembling and disassembling the mechanism. This all takes a lot of time and patience. 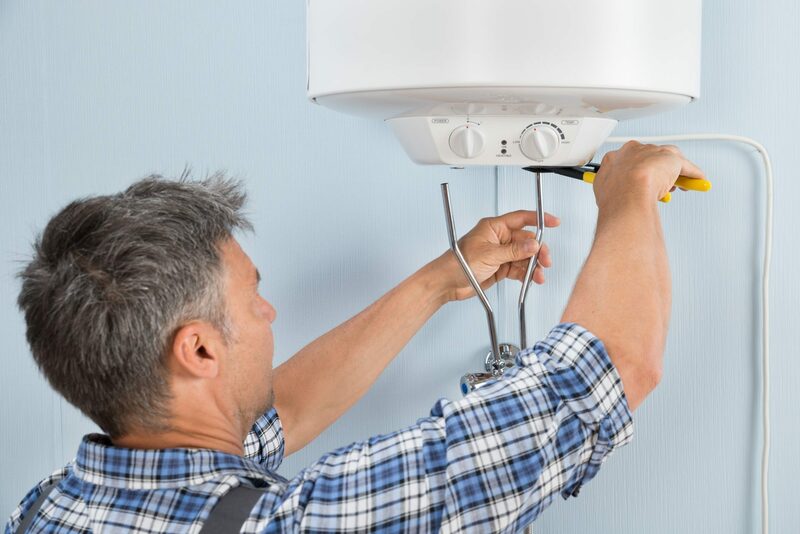 Learn how to save money on a new HVAC system for your home by remembering about the warranty. Most heaters come with limited warranties covering you on average between five to ten years of use. Depending on the brand you purchased this may cover any damage to the machine either by you or a defect. However, you need to read your warranty carefully. Some of them are only valid if the installation is done by an HVAC professional. When this is the case, a signature, phone number, and contact info are required to be sent in to ensure the warranty. If you are handy around the house then spending half a day on a heater installation might be your ideal Saturday. Don’t forget the trip to the hardware store to pick up any additional tools you might need for the job. For most people, however, it is just not worth it. If you buy the heater from a solid dealer they will likely include the cost of installation or give you a discount on it. You can rest assured knowing it’s a job well-done. That way you can just keep back and relax on your weekend or get the million and one other things you might have to do that day! Unless you Tim “the tool-man” Taylor from Home Improvement, you are likely not going to be too interested to install a hot water heater yourself. So leave the job to the professionals so you can be sure to have hot water on even the coldest mornings! Contact Global Heating and Air Conditioning to learn more.